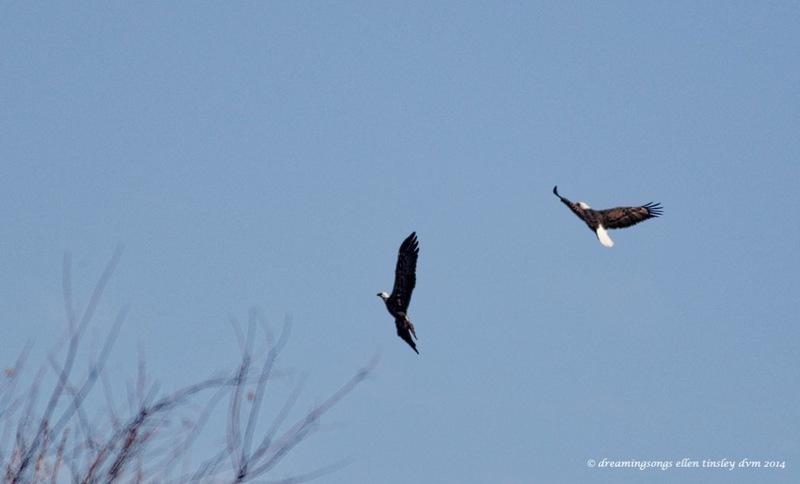 There were 3 bald eagles at Yates Mill Nature Preserve today. 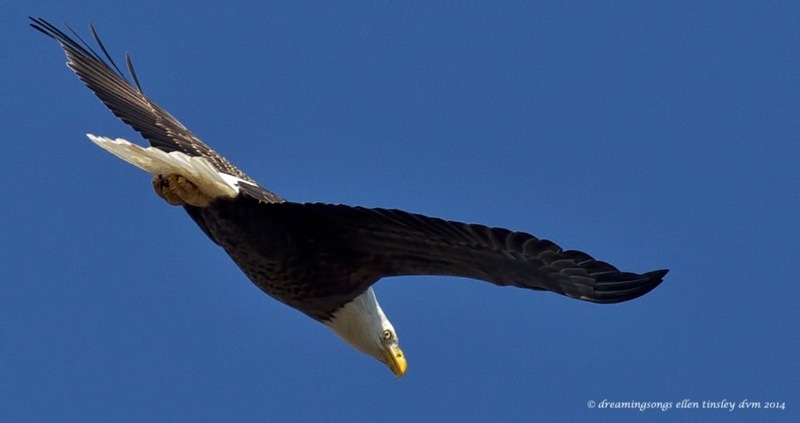 It is rare to see a single bald eagle over the Mill Pond. Today I was blessed to see 3. The first 2 photos are of the adults. The 3rd photo is of the adults chasing each other – sorry the photo is not better – but they quickly chased each other out of the reach of my lens. 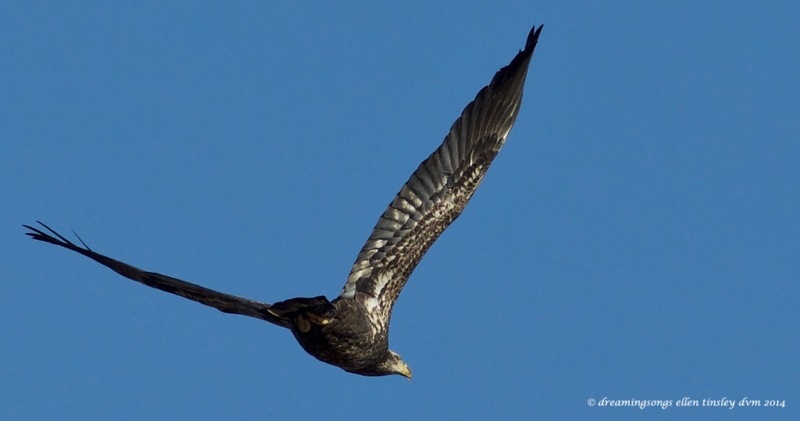 The 4th photo is of the 3 year old immature bald eagle. He/she was very interested in the action between the adults. Just like the teenager he is. He will have to make it through 2 more years before he is ready to find a mate of his own. 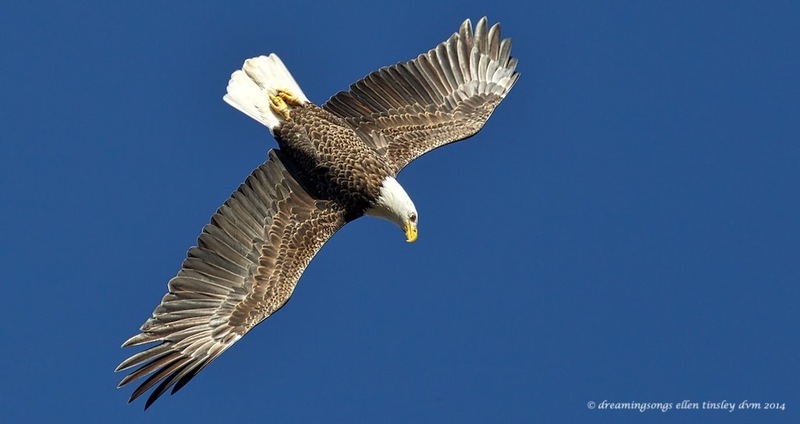 Posted in photography, raptors, wild birds, Yates Mill Nature Preserve and tagged as American bald eagle, bald eagle, immature bald eagle, Yates Mill, Yates Mill Nature Preserve. I do hope you get to see a bald eagle! They are indeed majestic. Thanks for viewing my blog and for the reblog. Have a great holiday season. And you as well . Thanks and no problem. If I see something that is interesting I reblog . Thanks again!